In a brief filed recently on behalf of the Sierra Club, EELC charges that the New Jersey Board of Public Utilities ignored state and local laws when it approved a proposal for a New Jersey Natural Gas pipeline in the Pinelands. According to EELC Senior Staff Attorney, Raghu Murthy, the BPU short-circuited the local approval process for Pinelands developments and failed to demonstrate that the Southern Reliability Link pipeline is necessary. EELC also opposed a related decision by the Pinelands Commission Executive Director. Under the Pinelands Protection Act, all Pinelands development must comply with local Pinelands protection ordinances and undergo a review by the full Pinelands Commission, an independent state agency. In February 2016, the Executive Director of the Commission unlawfully bypassed the full Commission and sent a letter to the BPU approving the Southern Reliability Link plan. EELC appealed that decision. In January of 2017, the Pinelands Commission acknowledged that the letter exceeded the Executive Director’s authority, and withdrew the letter. The Pinelands Commission will schedule a hearing to review the proposal. However, In March 2016, citing the Municipal Land Use Law, which governs all land use in New Jersey, BPU issued an order exempting the Southern Reliability Link from compliance with local zoning ordinances, including local Pinelands Protection Ordinances. This order exceeds BPU’s limits on its authority, according to Murthy. EELC argues that the Pinelands Protection Act trumps the Municipal Land Use Law in this case. If approved, the 30-mile-long pipeline would will cut across the state – from Chesterfield in Burlington County to Manchester Township in Ocean County – and carve an eleven-mile-long and ten-foot-wide swath through the Pinelands National Reserve. According to the Sierra Club, the Southern Reliability Link pipeline could destroy habitats for numerous threatened and endangered species, pollute rivers, wetlands and streams, while impacting one of the largest sources of drinking water on the East Coast used by about one million people. In fact, of all of the routes considered by NJNG, the chosen route causes the most damage to the Pinelands’ environment. EELC’s brief, filed with the New Jersey Appellate Division last month, also argues that the $160M project is entirely unnecessary. 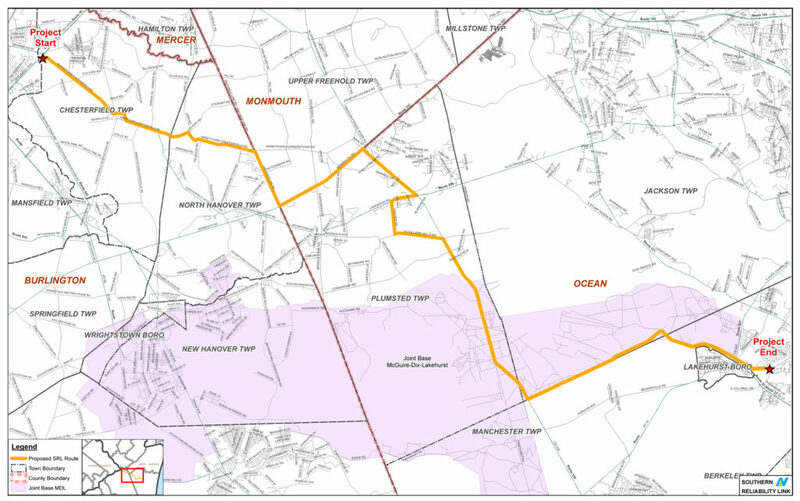 NJNG claims that the Southern Reliability Link will safeguard against a large-scale natural gas supply interruption to Burlington, Ocean and Monmouth Counties. However, these three counties already have five supply feeds. The Board of Public Utilities may only waive local review of “necessary” utility projects, and pipeline clearly does not meet that standard. Despite NJNG’s focus on supply outages caused by Superstorm Sandy, those disruptions were caused by deficiencies in NJNG’s distribution system, not a supply interruption. Therefore, the outages following Sandy are a red herring that BPU should have ignored. EELC’s brief seeks a court order remanding this case back to Board of Public Utilities for a closer review, as well as a ruling that New Jersey Natural Gas must comply with the Pinelands Protection Act by obtaining local approval from each Pinelands municipality and county affected by the pipeline, regardless of the Board’s decision.